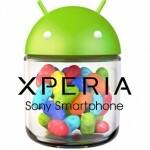 It has just been a while since we saw Sony launching Xperia Z Ultra and SmartWatch SW2 at Mobile Asia Expo, Shanghai. 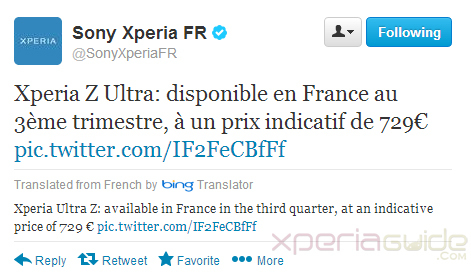 Xperia Z Ultra LTE C6806, C6833, HSPA+ C6802 White Paper were released today a bit ago and just now we have got a specific information on the price on Xperia Z Ultra and the Sony SmartWatch SW2 from none other then official Sony Xperia France tweet. 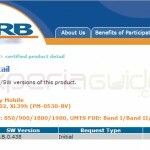 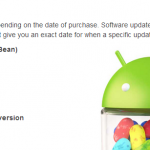 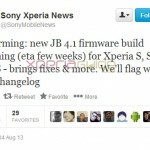 Sony Xperia France Twitter official account has just made a statement commenting on the release date and the approx. 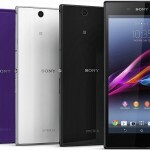 price of Xperia Z Ultra in France – Europe. 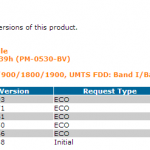 Soon we can aslo expect the launch of Sony SmartWatch SW2 as Sony Xperia France has also tweeted regarding the price and release date of Sony SmartWatch SW2. 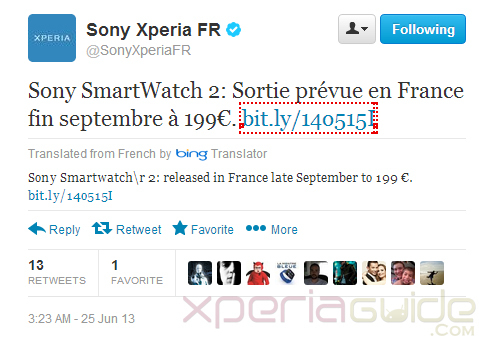 Sony SmartWatch : released in France late September to Price €199. 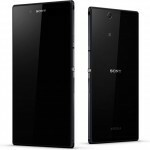 There are also rumors that Sony €719 in the Dutch / Netherlands market, so we expect the Xperia Z Ultra will be launched around some €650 to €700. 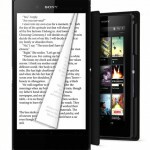 If price is speculated same will be seen in Indian market at around Rs 52000-Rs 54000.